Mahershala Ali may not be a red carpet regular but when he hits the carpet, he serves up style. He attended the premiere of his new film 'Green Book' at Paris Theatre on Tuesday(November 13th) in New York City. 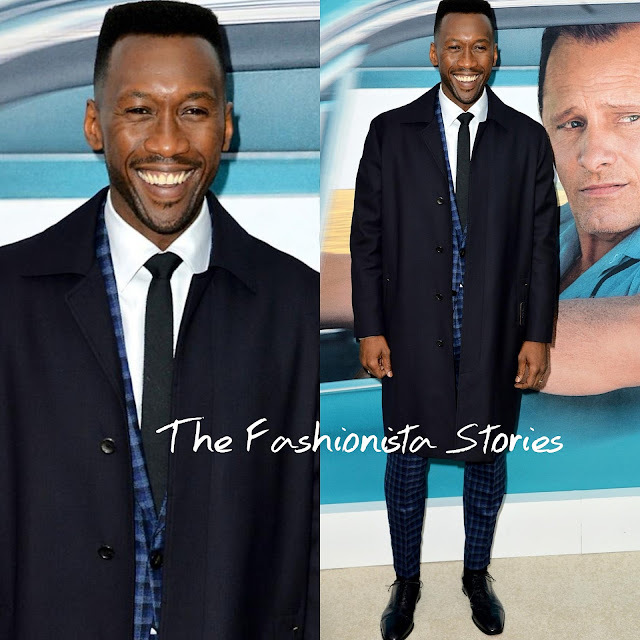 Mahershala was styled perfectly in a navy wool coat and a ETRO blue two-piece plaid suit which was teamed with a white shirt, a grey tie and black shiny dress shoes. The actor looked clean and sharp, and how can you not love this look, especially with his affections smile. Did Mahershala win you over with this look as well?